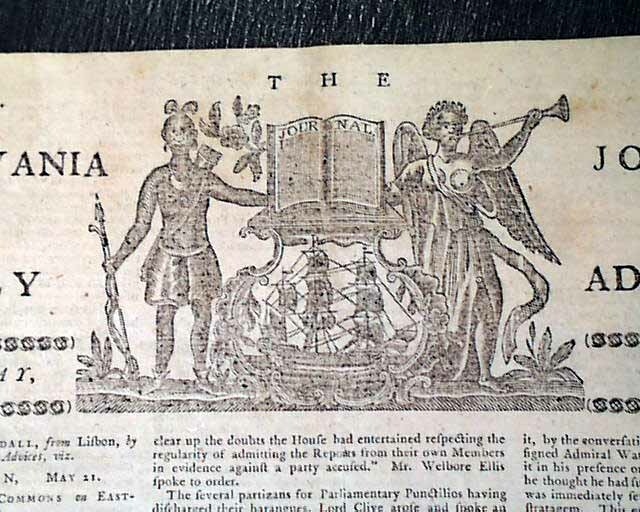 This newspaper from this period had one of the more beautiful & decorative of the colonial era (see). 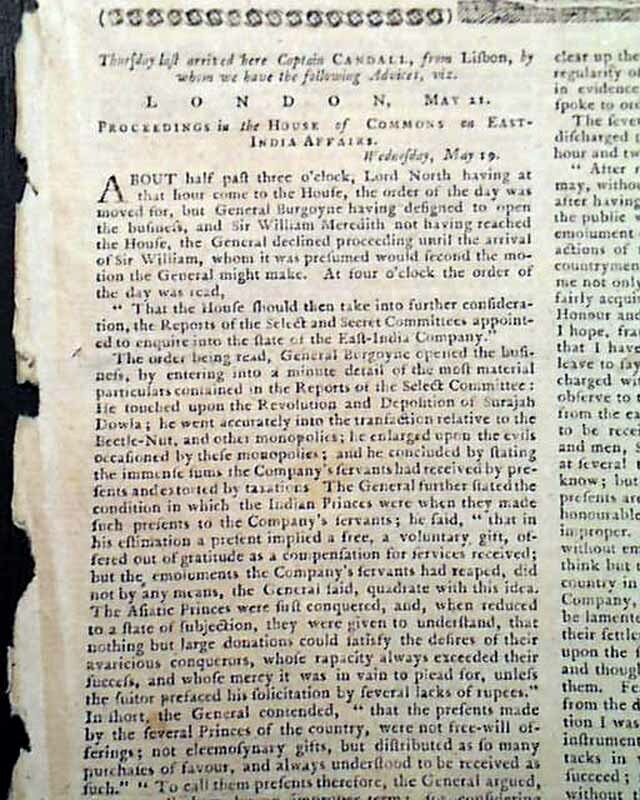 The entire front page is taken up with "Proceedings in the House of Commons on East India Affairs". 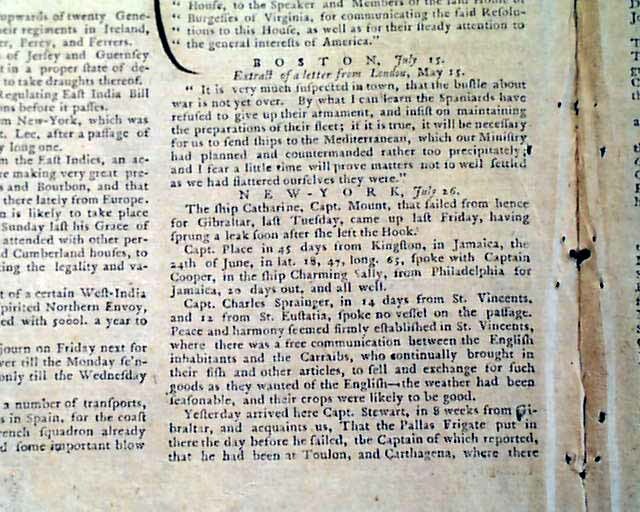 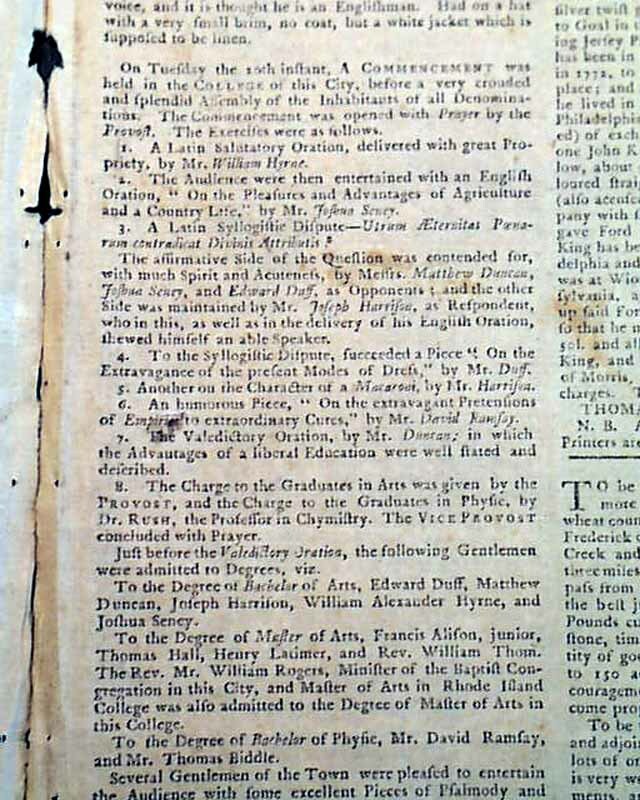 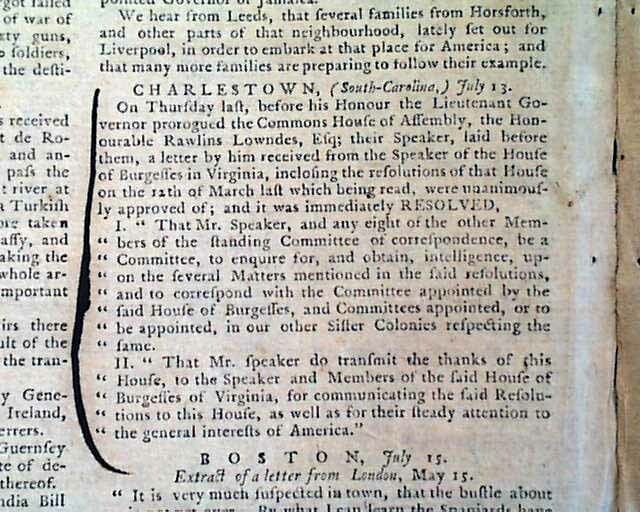 Inside has reports from London, Charleston, Boston, New York & Philadelphia including much detail (including the graduates) on the "...commencement held in the college of this city before a very crowded & splendid assembly...", likely being the University of Pennsylvania. 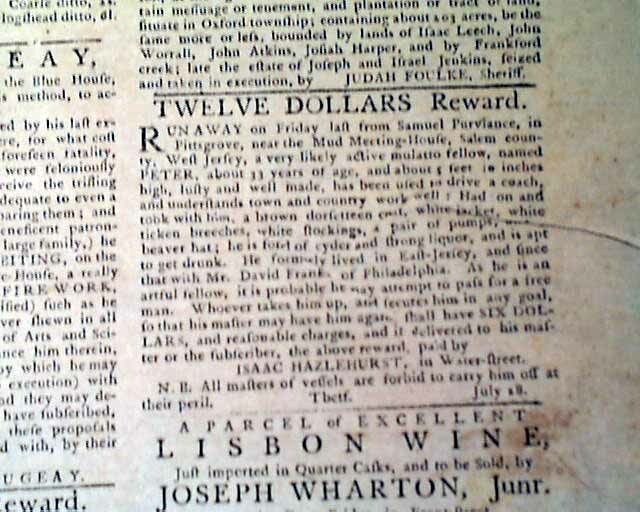 Also a detail "Twelve Dollars Reward" ad for a runway mulatto (see). 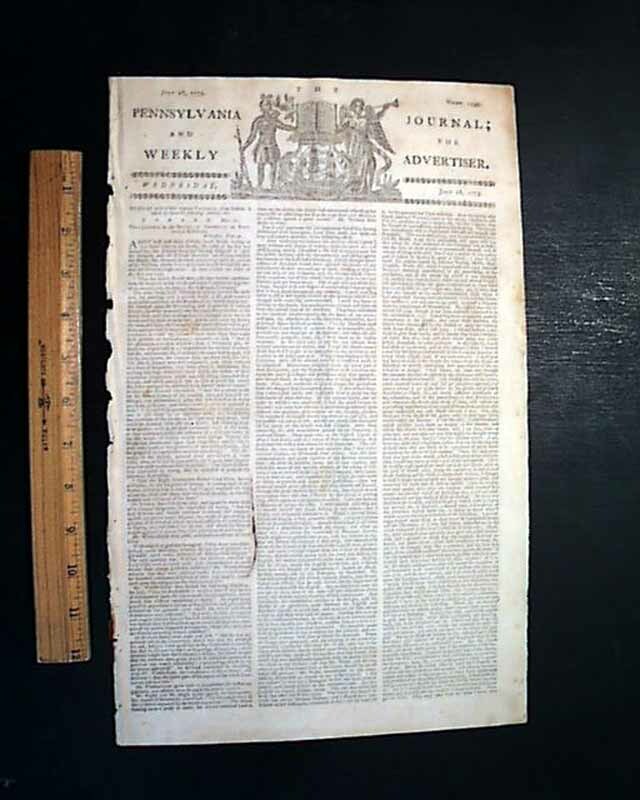 Four pages, slightly irregular at the blank spine, 1 inked line on a page 2 margin, very nice condition.